We have already watched some great Carving Videos. Here is a great video which I stayed glued to and repeatedly watched that video in awe at the way Chef Johan makes those wonderful Plate Decorations. You could just decorate your plates for your carving platters or even make a wonderful presentation for your Cakes and Pastries! Have fun decorating your dessert plates.! As usual I was browsing for some great videos when I came upon a series of videos of ARS Executive Chef Johan Jansen who makes it look so easy. Here are some of his unique carving videos. ARS Executive Chef Johan Jansen does some more garnishes. This one is a zucchini pinwheel. Very easy once you get them sliced. Well I posted it as I liked the ease with which he did it, obviously it's going to take a lot of practice for the layman. Enjoy the Pinwheels! Here Chef Johan shows how to pick a great pineapple, how to slice it, and even how to make a tropical drink cup out of it. Johan does some quick and easy garnishes with carrots, and a similar one you can do with squash. Here is a Mushroom Carving done by Chef Johan. Here Johan does an amazing flower with a cabbage. To finish off this interesting post is A quick garnish to go on top of parfait desserts. A Strawberry Carving! Nita Gill Presents - How to make beautiful watermelon fruit salad bowls that are more impressive than your ordinary watermelon basket or watermelon bowl. Star spangled red, white and blue fruit salad makes this perfect for any occasion. A slowly and well explained video that gets you to the final masterpiece! Always have been a great fan of her work, so here is one that is just great! Don't forget to listen to the Watermelon App part in the Video. A bit longer video but worth the wait, so take your time and watch this wonderful video. 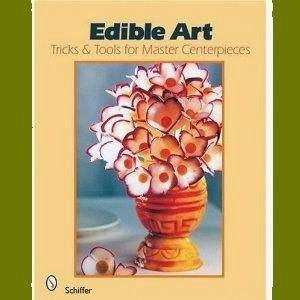 Here are some great books I found about Vegetable Carving. There are so many of them and I thought I should showcase some of them for you. I hope you like them. Enjoy reading and Happy Carving! 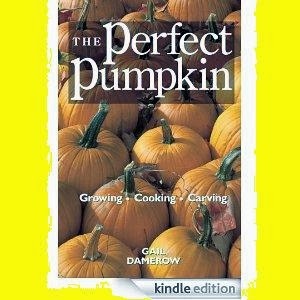 Learn how to grow and harvest more than 95 varieties of pumpkins, and then use them in any number of ways--carve fabulous jack o'lanterns, make luxurious pumpkin soap and bath oil, and enjoy more than 30 delicious recipes, including Pumpkin Brioche, Pumpkin-Tomato Soup with Basil, Fried Pumpkin Blossoms, Double Ginger Pumpkin Pie with Bourbon, and even Pumpkin Beer! 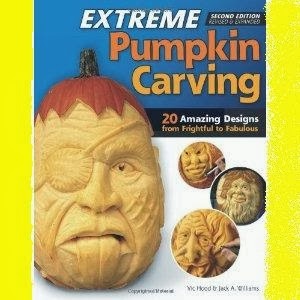 Description:Providing a new twist on a holiday tradition, Extreme Pumpkin Carving, 2nd Edition Revised and Expanded illustrates how to carve three-dimensional faces and scenes in solid pumpkins (no hollowing necessary) using tools ranging from kitchen knives to carving gouges and chisels. Complete information is provided for getting started, including an overview of tools and tips for finding the best pumpkin to work with. Step-by-step instructions are detailed for using handy household tools to carve dramatic Halloween figures, and using professional tools for creating more elaborate and intricate details. Twenty fun pumpkin carving patterns are provided, along with full-color photographs of each finished carving. This is a great book for Halloween enthusiasts who are striving to create the best jack-o'-lantern on the block. Description: Sculpture created from fruits and vegetables will challenge you, and amaze your guests. Simple techniques and tools make it possible to create absolutely stunning centerpieces that will be the talk of the party. Butterflies and rosebuds from colorful beets, carrots, and radishes are easily crafted. Elaborate melon lanterns and "flower" filled vases are crafted step-by-step in pictures, making it easy for you to follow the directions. Twenty-five splendid projects promise to delight dinner guests, and gratify their maker. An inexpensive hobby, food sculpture becomes a priceless addition to any table setting. This book will show you how to create imaginative centerpieces like a pro. 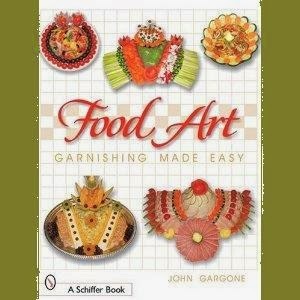 Description: Illustrated with over 370 beautiful color photos, John Gargone takes readers step-by-step through the process of creating garnishes that are stunning works of edible art. Follow the straight-forward, systematic instructions and you will produce displays that guests will never forget, including border garnishes, salad and table centerpieces, fruit displays ranging from bird cages to watermelon wedding vases, melon sculpture displays, and masterpieces in cheese, vegetables, and deli spreads. Additionally, this book is packed with knife handling techniques, tricks of the trade, and recipes that will give you the confidence and knowledge to create food arrangements quickly, many of which may be reused over several days. This book is a must for every chef, whether cooking for family and friends or catering to thousands! Book Description: Messages Found with the Carving Knife," by Pam Maneeratana, offering 162 pages of full color photographs of her favorite carved pieces accompanied by words of encouragement and enlightenment.This is not the how to book, but it is about the creation of carving fruit and vegetable into, along with the wisdoms Pam got from all those years of teaching carving. I have always been a fan of Pam Maneeratana and have posted many times about her work and her carvings on my blog here. This time I just couldn't wait to see this book and had no choice but to bring to your attention. So make best use of it. Please find a fantastic Review of this book below. 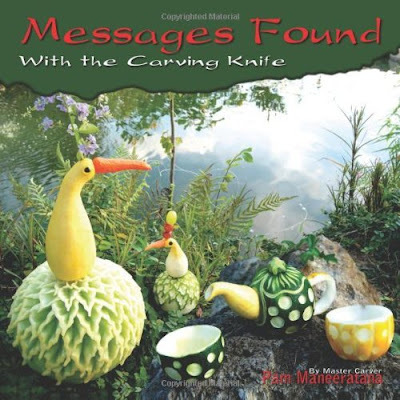 Crafts and Hobbies Messages Found With The Carving Knife Pam Maneeratana CreateSpace Five Star ( out of Five ) The Thai tradition of fruit and vegetable carving, or Kae-Sa-Luk, is showcased in Pam Maneeratana's book Messages Found with the Carving Knife. While not an instructional book, this volume is a good visual introduction to this ancient art of carving. It displays the range of intricate patterns and structures that the artist fashions out of common fruits and vegetables and will be an inspiration to crafters, caterers, and artists. Each photo of the artist's carvings is balanced with a short statement about her artistic motives and personal philosophy, so this book also has appeal as an inspirational title. Maneeratana immigrated to the United States from her native Bangkok with her restaurateur husband and found that the meditative aspects of planning and executing her increasingly more elaborate carvings was a welcome respite. She had studied Kae-Sa-Luk as a school girl but was not interested in practicing the art until she began to create garnishes and centerpieces for the family restaurant. Her passion led the author to produce several DVDs about carving techniques, teach master classes and travel around the US., giving lectures and demonstrations. Shot against the tropical vegetation of her new Florida home, Maneeratana's exquisitely carved sculptures are perfectly captured in numerous color photographs by Shauna Lillywhite. Many examples sport geometric or botanical surface patterns, while other carvings are more sculptural and rendered in images of fanciful birds, teapots, exotic flowers or mushrooms. The vegetable kingdom is well-represented by the variously-transformed squashes, melons, and every sort of root vegetable. Carrots become goggle-eyed goldfish; a shapely eggplant get a full skirt of cascading leaves; jalapenos turn into curly lilies with seedpod centers. Watermelon carvings really highlight Maneeratana's masterful skills. She is able to subtly use the inner rind of the watermelons to highlight the outlines of her delicate forms. And then there are the pumpkins! No mere grinning Jack-o-lanterns here; pumpkin carving is taken to new heights with nighttime images of Maneeratana's illuminated lanterns adorned with intricately carved demons, spiders, flowers, feline faces and spiral motifs. As Maneeratana notes, the carving process is more important than the final perishable artwork. "Every time I carve, I concentrate on each cut, one after another....After an hour of concentration on each cut and planning for the next cut, my mind is isolated from any worries- and I am fulfilled. I achieved my goal- a clear mind. The beauty of the carved fruit is a wonderful by-product." Another fantastic by -product of Maneeratana's time spent carving is this very book. It introduce Western readers to Kae-Sa-Luk and to the creative possibilities of fruit and vegetable carving. It is like reading the equivalent of a fireworks display, with so many displays of visual bravura leading up to a finale of awe-inspiring images. This book is one of a kind book. It's a breath taking when open the book. Once it's open, you will enjoy one page after another. Pam transfers her experience in teaching fruit and vegetable for all those 28 years through the pictures of her carved fruit and the words of wisdom. Introduction to Fruit and Veg Carving with Sandeep Pandey that can be used for your starter plates, main course plates, buffets and all. To get started, You will need a paring knife, chopping knife, peeler, tomatoes, cucumbers and beetroot. A very unique way to get creative with your fruit and vegetables! Sandeep Pandey shows us a lovely table garnish out of peppers and a courgette. All you need is the vegetables and a good knife. Impress your guests with your own unique, table display creation made out of veg. Sandeep Pandey shows us how to make a central display for your table with these tips and tricks on making a mixed fruit and vegetable bouquet. A unique way to impress your dinner guests. You will need various fruit and veg - orange, courgette, carrots, cucumber, canalope, beetroot, radish and tooth pics! How to carve a simple flower out of a watermelon that can make a very impressive display at a buffet. You will need a peeler, carving knife and chopping knife along with a large watermelon to get started. More of Sandeep Pandey Vegetable and Fruit Carving Videos in my next post. Have a great time! Well its always a pleasure and privilege posting this information for me as I have created this blog with a single minded intention to spread word about this fantastic art to all those who love this art. I have been flooded with requests from so many friends and fellow Fruit,Vegetable, Soap Carving Artists to portray their work on this blog, and I totally am privileged to do so. When I saw the soap carving in one of her posts I quickly thought of posting it here along with basic details of her blog so you can all visit the blog and check out about her by clicking on the Tabs here which are already linked to the respective Blog pages- Carving Tutorials, Tools, Classes, Candy Bouquets, and Soap Carvings. Check out this nice blog which I liked a lot as it covers a lot of information that will interest all readers. I also wish her the very Best in her work and look forward to seeing more of her work! Welcoming All Vegetable, Fruit, Soap and Ice Carving Artists! Thank you all Vegetable, Fruit, Soap, and Ice Carving Artists! I want to take this opportunity to sincerely thank all my wonderful friends and Artists who are masters in their own field of Vegetable, Fruit, Soap and Ice carvings who I have tried to feature and write about on my Blog Vegetable and Fruit Carving - I also have a Facebook Page for this site. The Twitter Id is vegfruitcarving . I am happy to mention that because of you wonderful friends and readers and patrons this blog has reached a Visitor Page View of over 1,43,000 viewers from over 180 countries all over the world. This would not have been possible without your support and motivation for which I thank you all once again. Special thanks to all those viewers and visitors who are reading my blog and also following it. I keep getting messages from you all to keep writing more and posting more information, which I could not attend to. I sincerely appologize for the delay and gap in posting due to some inevtiable circumstances, and also as I was busy caught up with many of my other blogs. But I am back now. As you are all aware that it is my privilege to keep posting about you wonderful artists, who carve exquisite Vegetable, Fruit, Soap Carvings besides Ice carvings as well. I am very eager to highlight and showcase the work of all you wonderful artists on my Blog, and I have already done so for some of my wondeful friends which you can see in the list mentioned at the end of this post. I once again invite all my wonderful friends who would like your work and profile to be featured on this blog to write to me at this special email that I have now created for all information about this blog at - vegfruitcarvings@gmail.com . You can send me basic details like Full Name,Profession or Professional Status: (Such as Vegetable and Fruit Carver, Chef, Writer, Blogger, Businessman, Entrepreneur…..), Your Address or Location if you want people to contact you, other Contact Information: Such as Best reached/used email, Screen names and Messenger Id such as Skype, Gtalk, Windows live, Yahoo etc. along with links to your specific websites including any special sites that you promote or advocate for, and any Groups on Facebook , with a brief description about those sites if possible. In case you are conducting any training for the art that you practise please feel free to give full details about the course , with timings, fees, or even a link to your page. You may please also attach or send URL of the best Photograph you would like to be posted as your profile Photo in the Blog post. Any other images if you want may also be sent in the mail. Also either send me the images you want me to post on your article or give me permission to pick up relevant images from your Websites or Facebook pages to add to my article about you. I have requested for this permission from you because many Artists do not give permission / consent to publish images or information from their sites, and I do not want to infringe any Personal, Professional, Business or Intellectual Rights or Copyright of your site. I have already posted a disclaimer to that effect at the bottom of my post but this is to make it sure that I don’t override anyone's personal or intellectual rights. Feel free to provide any additional information which I may have missed out on the above list, which you would like added and it will be done. If any one of you has a Website with an affiliate program attached to it please do inform me so that I can join that site and post your banners and links on my blog. Most Important: Please specifically mention in your mail your permission allowing me to use Images, content from your site for writing on my Blog , or for creating any Videos as this approval is required when creating videos on Youtube and also if accessing Copyrighted sites. If you feel I should read and write after seeing your site myself you can only send me a mail confirming your interest to having your work portrayed on my blog and that you give me the permission to access your site and use the images and content on it for writing about you on my blog and I will do the necessary. As I also create Videos, if you would like me to create some nice videos of your work you may send me the permission to use the images from your sites to create my Video which of course will be again displayed on my Vegetable and Fruit Carving Blog and also another Blog which I have for videos - The Best Videos Blog. Some of the posts that I have written earlier about Wonderful Vegetable And Fruit Carving Artists are given below , and I look forward to seeing you as one of my next posts. Pornchai Kliangnin - GreatFruit Carving Videos of Pornchai Kliangnin. GreatVideos of Fruit Carving by Pornchai Kliangnin! Selena Ze Arteest (Elena Tabaeva) - Fruitand vegetable carving classes in Russia! Besides this I have also posted about various good sites, so whenever you give me your permission and write to me I will review the site and write a wonderful article about it. A link of that page will also be sent to you so you can see it and you are free to write to me for any changes or additions if you so require , and I will be happy to do so. I will be a great privilege and honor for me to portray the work of hundreds of fantastic Artists like you on my blog, so please feel free to send me your details along with approval/permission as mentioned above. Looking forward to lots more Vegetable, Fruit, Soap, and Ice Carving Artists shared on my Blogs! Let the mails flow! Wow your Guests, Family and Friends! Learn to carve like a professional. Gill! Once again she has come up with this wonderful Lesson offer for you all to learn the wondrful art of Vegetable and Fruit carving! I once again Wish her all the best in her constant endeavour to give to us the best of her skills so that we too can learn to carve like professionals !